KBShimmer Insert Coin [June 2018 Polish Pickup Pack], 3 coats. I would say this is a burnished coin base and when a magnet is applied, a gold band appears and the base shifts from blue to purple. Moon Shine Mani The One With All the Candy [February 2018 Polish Pickup Pack], 3 coats. I would say this is a multichrome red-orange-pink base with similar multichrome flakies. OPI Check Out the Old Geysirs. A baby blue base with intense blue shimmer. This is a mani I had created quite awhile ago – at least a few months. 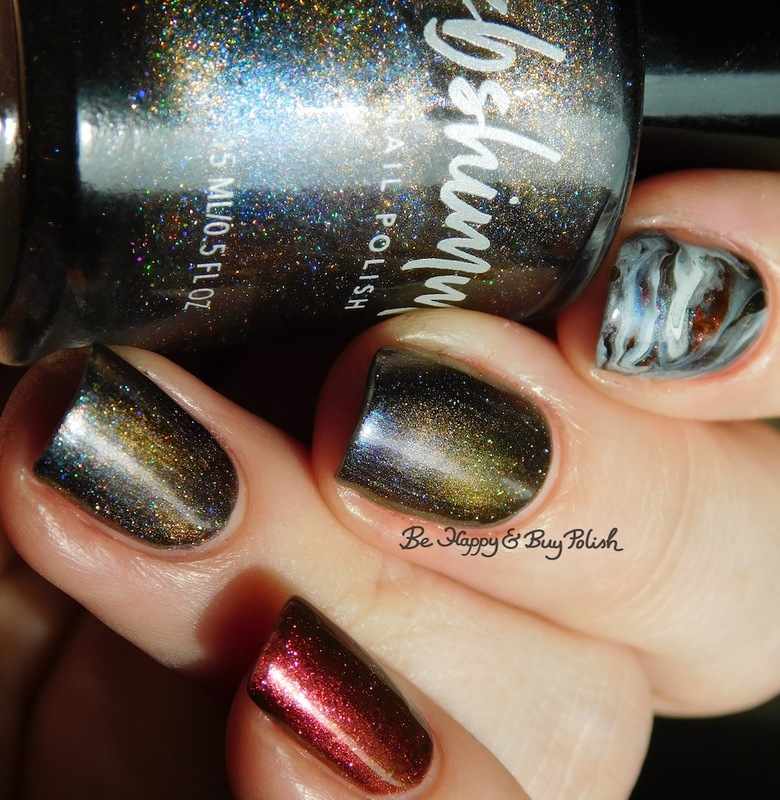 Yes, yes, I’m still working my way through old manis. Good news is, I’m catching up! 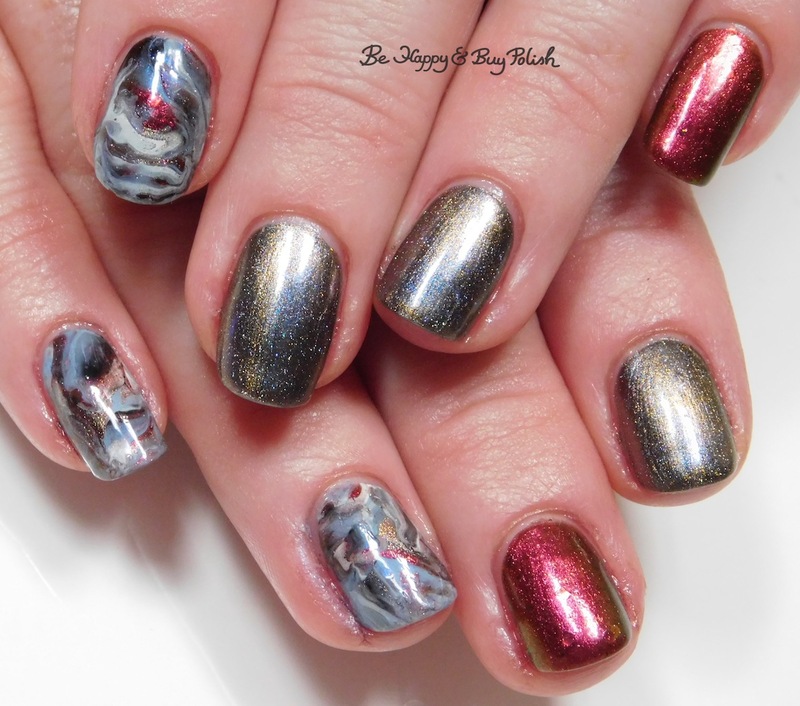 I couldn’t tell you how I created the marbled nails – I really should include that in my notes. Oops. 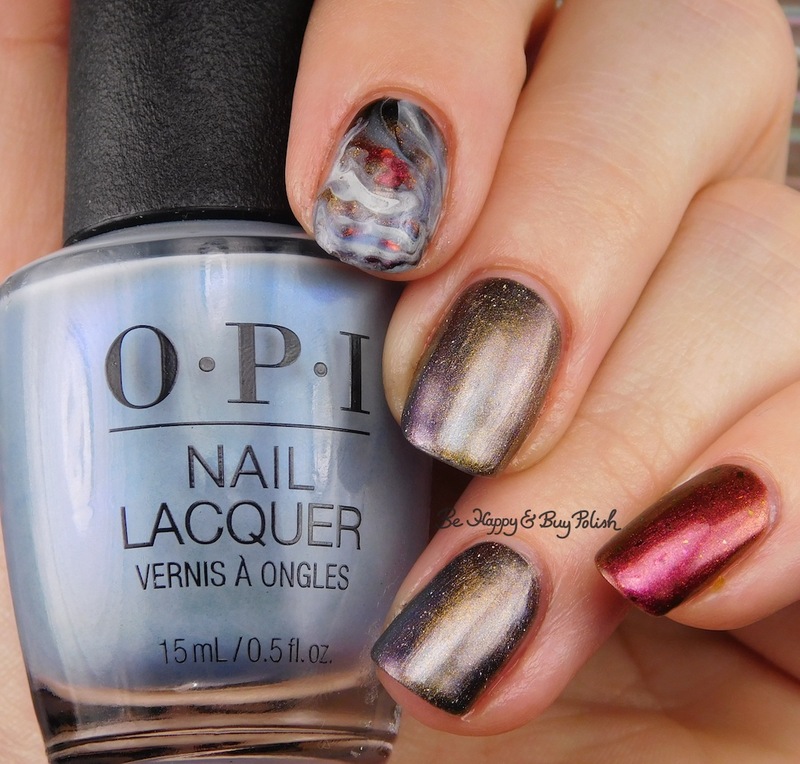 I absolutely loved how the blue shimmer of the OPI intensified in the marble. Fan-freakin-tastic! Stunning! The marble accent is totally giving me planetary vibes.